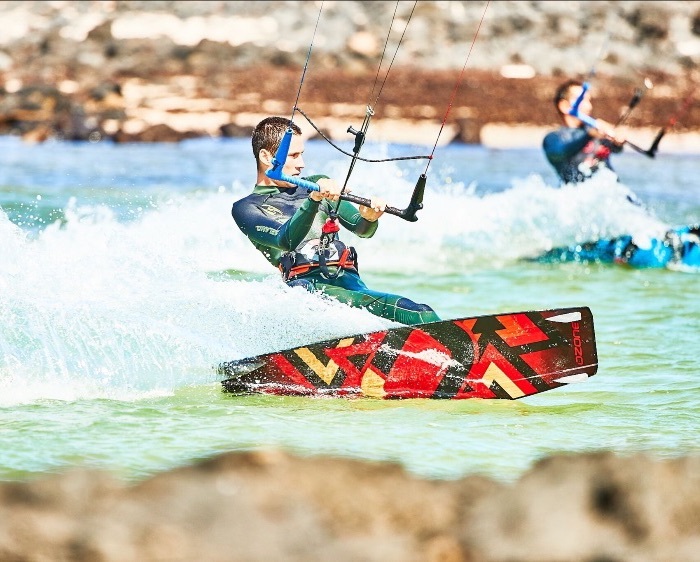 The Infinity V1 is a dedicated lightwind board that makes riding more exciting and progressive. It uniquely blends a classic twin-tip freeride feeling with impressive light wind performance. Alive with speed and maneuverability, the Infinity V1 redefines what we think of as a light wind board. 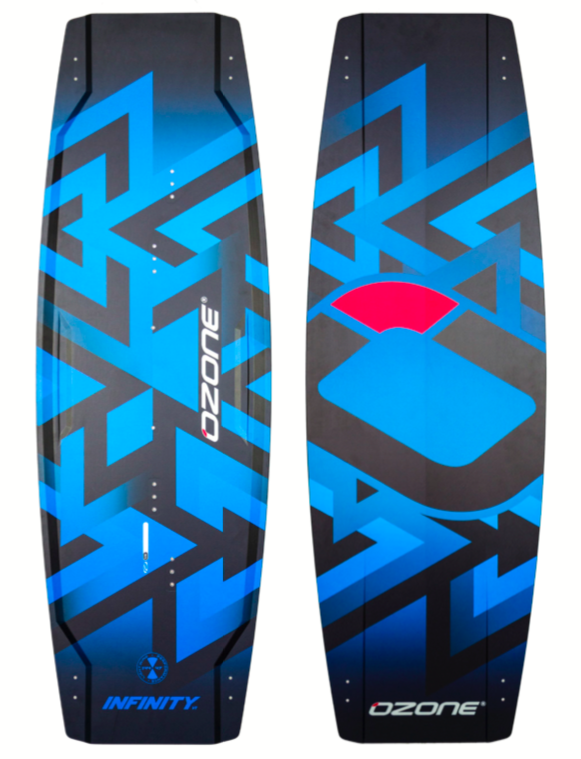 It is livelier, lighter and smaller than other light wind specific boards on the market - the Infinity motivates progression! 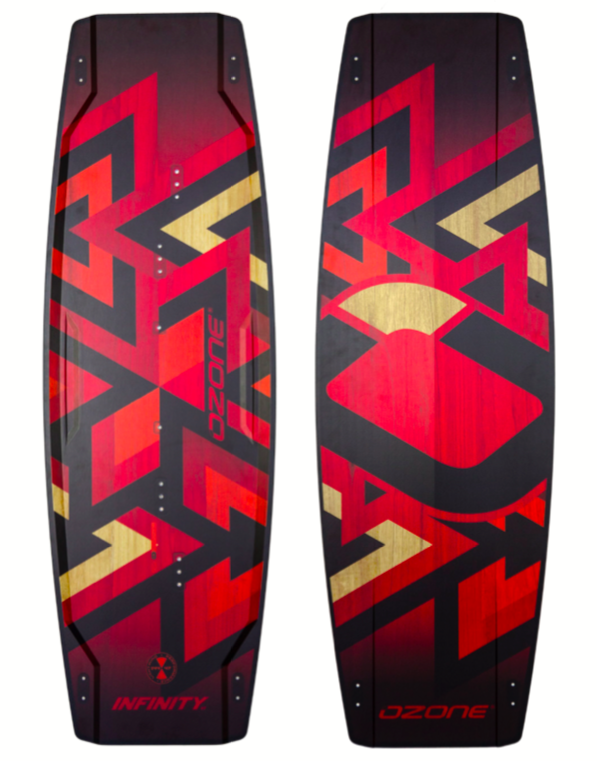 Designed with a double concave bottom shape going flat towards channeled tips and optimized rocker line. This combination provides early planning, continuous board speed through lulls and impressive upwind performance. The Infinity rides high on the water for comfort in chop and ease of rolling into a turn. 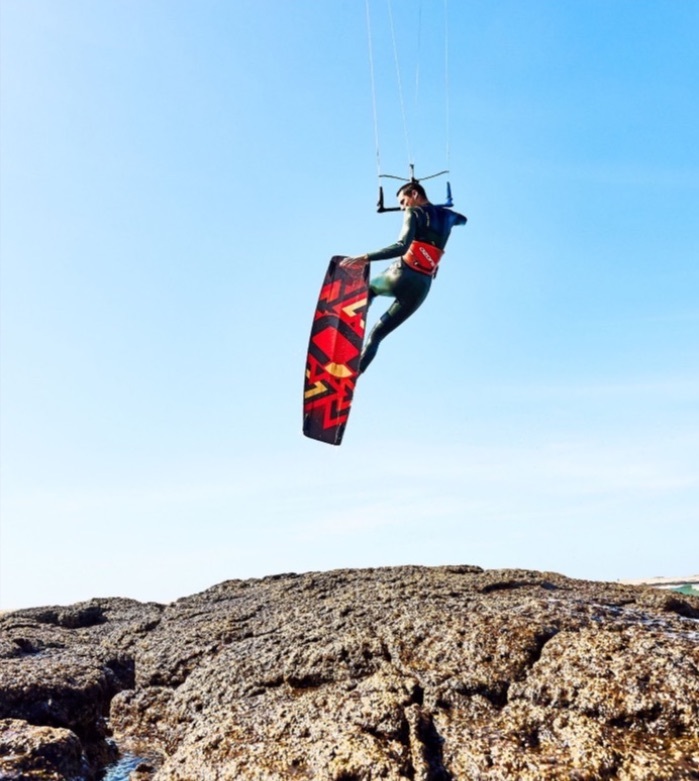 Off centered inserts relieve stress on ankles while edging to ride upwind, this also allows for an easy load and pop in light breezes. 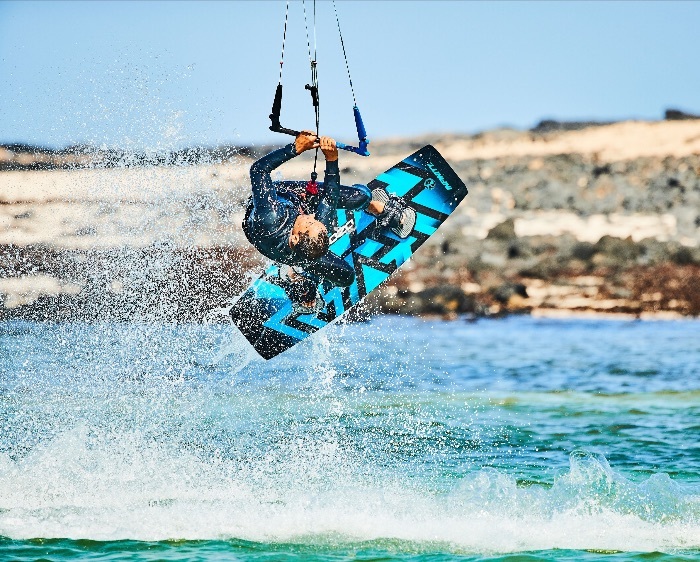 The Infinity’s cohesive flex pattern provides control when loading up for bigger airs and the progressive flex towards the tips helps absorb landings smoothly. 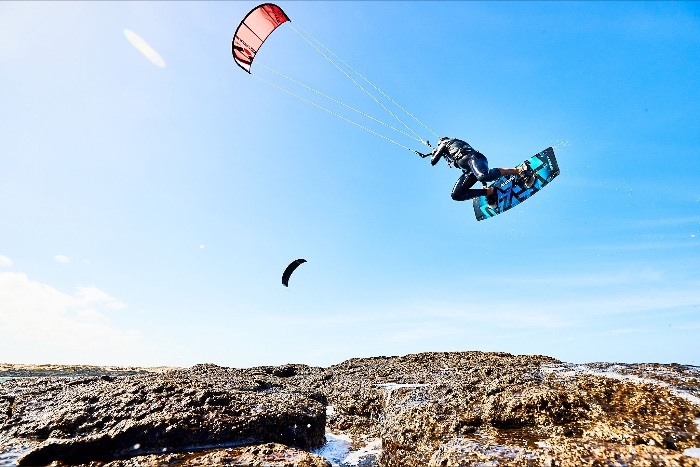 Ideally suited for twin-tip riders who want simply to cruise, freeriders searching for high end light wind performance, all the way to freestyle addicts aspiring to throw unhooked tricks in a breeze. Don’t find yourself sitting in desperation on the beach, take the Infinity and tear it up!